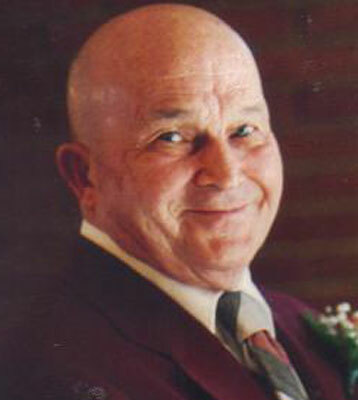 YOUNGSTOWN – There will be a funeral service held at noon on Thursday, June 18, 2015, at Green Haven Memorial Gardens, 3495 S. Canfield Niles Road, Canfield, for Gerald O. Belknap, 91, who passed away peacefully, Sunday afternoon, June 14, 2015. Gerald will always be remembered and loved by his family and friends. He was born June 26, 1923, in Exchange, W.Va., the son of Dyer and Dora (Bennington) Belknap. Gerald moved from West Virginia to Pennsylvania, then to Hubbard in 1960, and to the Youngstown area in 1964. Gerald was employed as a manager for Hathaway Bakery, worked at Standard Oil Company, and made deliveries for Blue Bird Baking Company. Gerald retired in 2009 from Santisi’s Sparkle Market in Struthers as a receiver. Gerald was a U.S. Navy veteran of World War II and earned the rank of motor machinist’s mate third class. He served on the following vessels: USS LST 285, the USNAAB and the NTC in Normandy, Southern France and the Battle of the Bulge. He was awarded the following decorations for his serve to our country: the Asiatic Pacific Theater Ribbon, the American Area Campaign Medal, the European African Medal, with two Bronze Stars, the War World II Victory Medal and the Good Conduct Medal. Gerald was of the Methodist faith and enjoyed wood working, camping and gardening. His wife, the former Margaret Blanche Logue, whom he married Sept. 3, 1955, died June 21, 2001. Gerald leaves behind to hold onto his memories, five children, Marjorie (Michael) Lukon of Las Vegas, Donald Thomas of Masury, Dawna (Stephen) McBride of California, George Belknap, with whom he made his home, and Sherry (John) Brinsky of Poland; 10 grandchildren, 19 great-grandchildren, and five great-great-grandchildren; and many nieces and nephews, along with his beloved dog, Ginger. Besides his parents and wife, Gerald was preceded in death by a daughter, Harriet Johnston; a grandson, Michael Brinsky; and numerous brothers and sisters. Arrangements have been entrusted to the professional care of the Rossi & Santucci Funeral Home, 4700 Market St., Boardman. Family and friends may visit www.rossisantuccifh.com to view this obituary, sign the guest book and send condolences to the Belknap family. On behalf of Gerald’s family, they would like to extend their heartfelt thanks to the staff at the Briarfield Manor and to Hospice of the Valley for all the care and compassion that was shown to them during Gerald’s illness. In lieu of flowers, material contributions may be made in Gerald’s name to Hospice of The Valley, 5190 Market St., Boardman, OH 44512. Please share your memories of Gerald.